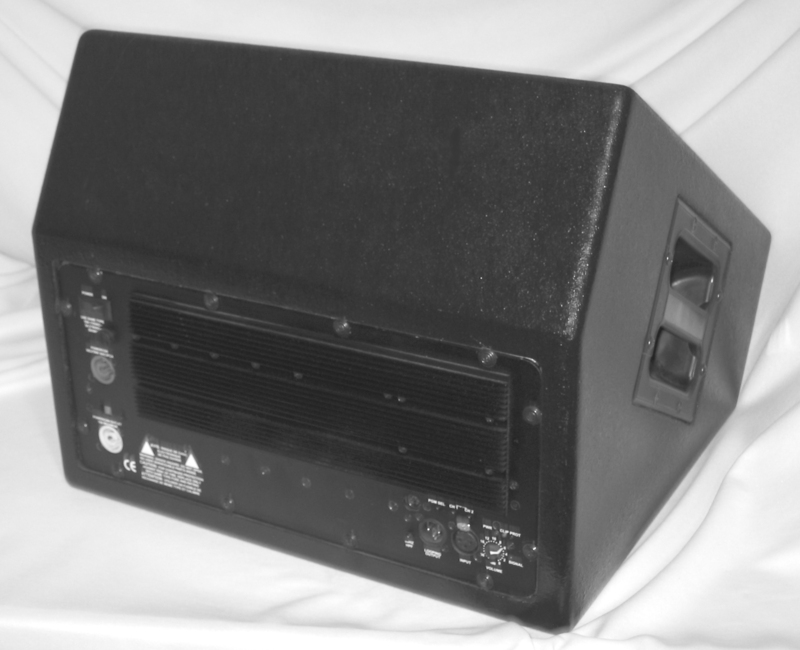 Frazier introduces the PM499, a powered version of the M499 compact stage monitor. Utilizing a two-channel power amplifier with proprietary DSP crossover filtering, the PM499 greatly simplifies the task of setting up a stage monitor system. Amplitude response is flat over the entire radiation pattern. 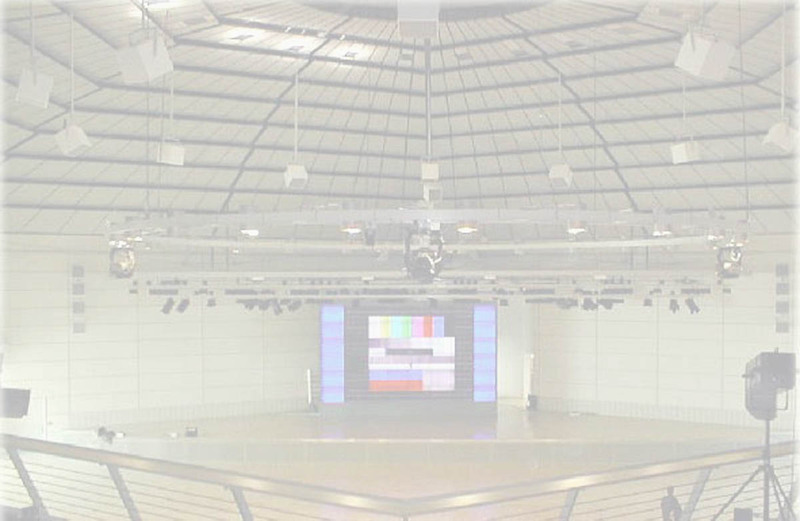 Coverage is broad but well-controlled, reducing the number of devices required to cover a stage. 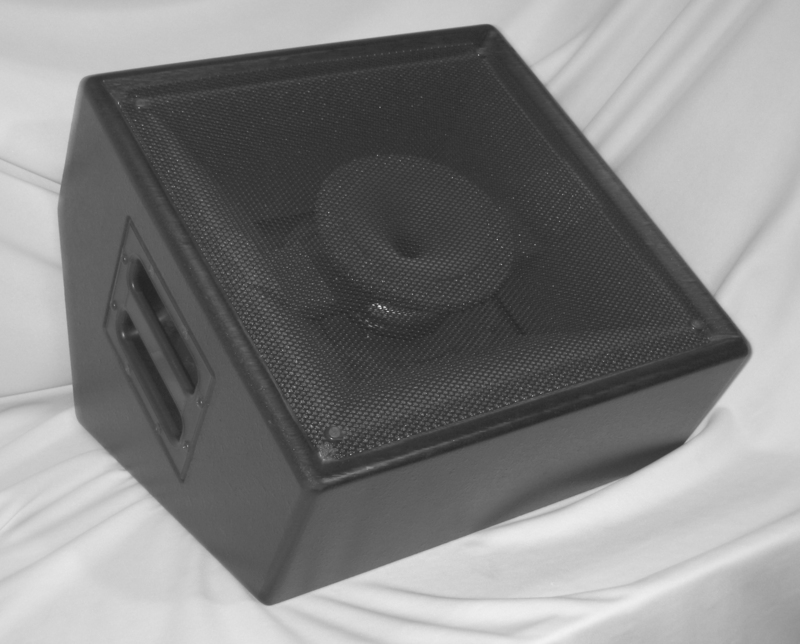 The package is compact and low-profile, minimizing stage clutter. As with all Frazier designs, the coherent output of the PM499 enables maximum clarity and audibility with far fewer feedback issues. Amplifier power is sufficient to fully utilize the output capacity of the individual transducers, while DSP-based onboard limiting minimizes the chance of damage. The PM499 may be equipped with a socket for stand-mounted use as a main PA speaker.